Because it is hard for me not to mention my favorite series from my childhood, I figured we should start here. The Christians calling this series evil refer to the magic used as witchcraft akin to the witchcraft in the Bible to make the most basic case that it is evil. However, this doesn’t make sense for a number of reasons. First: most of these Christians have no issue with Gandalf in The Lord of the Rings by J.R.R. Tolkien, a noted Christian writer. Second: the evil of the witchcraft of the Bible has to do with direct contact with the devil or the demonic. Lastly: similar to C.S. Lewis’ Chronicles of Narnia series, there is Christian symbolism– if not outright allegory. 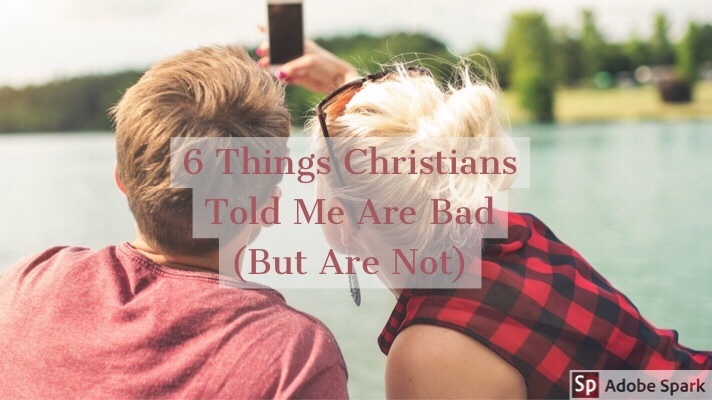 Another thing Christians told me was bad? A certain Japanese sensation which is somehow still going. Pokémon were called little devils by the Christians when I was a kid and they nearly overlooked the fact that it is fantasy dog fighting. However, it’s really a harmless video game/television series with a card game. Best exemplified in the movie Footloose, Christians deciding that dancing and certain music is evil, of the devil, etc. is the next on the list. For this reason, they create Christian music– usually a bad version of the music they emulate. (Though, not always.) However, music is largely to people’s taste and topics and language covered by some music may be more difficult for some people to handle, listening to music and/or dancing does not pave the way to hell. Along with the dancing is the way in which Christians demonized (and sometimes still do) dating. With titles which damaged some people’s teenagedom and even twenties, such as I Kissed Dating Good-bye by Josh Harris (who was not ordained in any way). Ideas like the ones in this book were used to control children and make them feel ashamed for being attracted to others and wanting to date. The answer to this is “courtship” a Christian fast-track to marriage. This might look different in various Christian circles, but usually involves supervised visits and rules which restrict even kissing. This ignores the benefits of dating, particularly: learning how to live in a healthy relationship, learning realistic things to look for in a partner, and learning undesirable qualities in a potential partner. Those are just three. My personal number one thing which I remember Christians telling me was “the devil” which is plainly not– and a lot of fun, to boot: Dungeons and Dragons. Similar to Harry Potter and Pokémon, D&D is a role playing game in which players are lead by their game master to take part in a fantasy world within the theatre of the mind. Regardless of even this, I cannot make this clear enough: GAMES AND BOOKS ARE NOT INTRINSICALLY EVIL. THEY ARE NOT CORRUPTING THE CHILDREN. That being said, parents have the prerogative on what their children read, watch, and play. I wish more of them would have exercised it when taking their kids to see Deadpool in theaters. I try to get this blog out the first Sunday of every month, but I was moving back from Ireland. Want to support me as a writer? Check out my Patreon.